You'll Earn 59 Loyalty Points! The Alegria footbed runs large. Please see U.S. size equivalents when choosing your size. 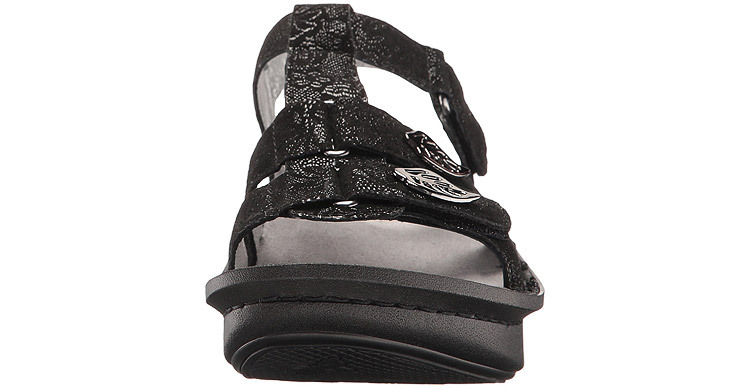 The Kleo is a gladiator style inspired sandal featuring the same stable, rocker outsole found on Alegria's Classic clog style that is engineered to roll naturally reducing heel and central metatarsal pressure. The flat bottom makes it easy to walk in while encouraging proper posture and normal gate. The anatomically correct footbed forms to your foot to redistribute weight more evenly, and the adjustable straps help all the different styles to fit many types of feet perfectly. Now when the sun is shining, you're still Rockin! I can never find a sandal with a back strap that does not rub and cut into my heel. These shoes are soft and comfortable and did not hurt my heels. I only needed a single day to break them in. I wear them everywhere that I would wear a tennis shoe, even walking my dog 1-2 miles daily. Perfect! 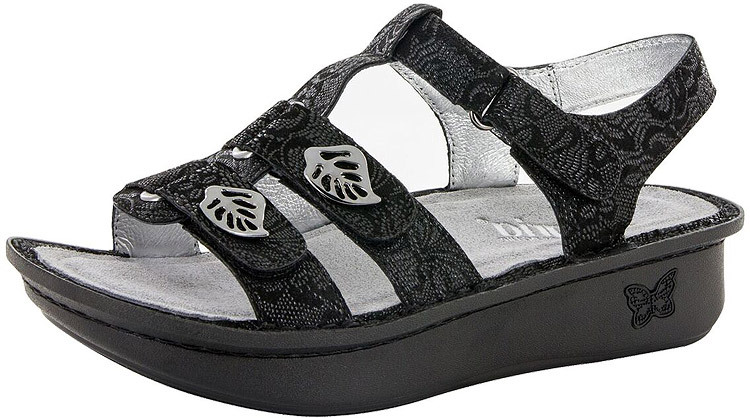 I have other pairs of Alegria, so was not surprised that these shoes were comfortable right out of the box the three straps across the top allow me to adjust for comfort, as well as the strap that goes behind the ankle. They go well with casual clothes, but can be worn for dress up as well. very happy with these shoes. The price was amazing. These sandles look very nice. They look to be high quality and they are very comfortable. They have become my go to sandle for everyday they look great with everything.